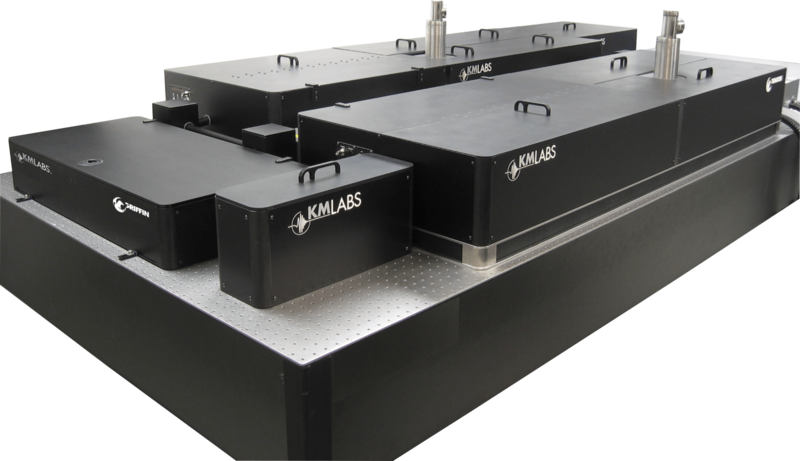 The standard KMLabs Dragon uses multi-pass amplification to generate pulses that are below 25 fs in duration with up to 3mJ pulse energy, up to 30 W in average power. We also offer a simple inexpensive option to generate controllable pulse duration between sub-25 fs and sub-30 fs pulses. Red Dragon is shipped with the customer’s preferred pulse duration: sub-25 fs, or sub-30 fs.